Anjali Power Yoga is hosting a holistic yogic and cultural retreat to give you a new perspective on your body, your practice, your life, and your world! You will participate in daily yoga and meditation, with an opportunity to practice both Ashtanga and Baptiste Power Vinyasa yoga, and thoughtful daily cultural excursions. 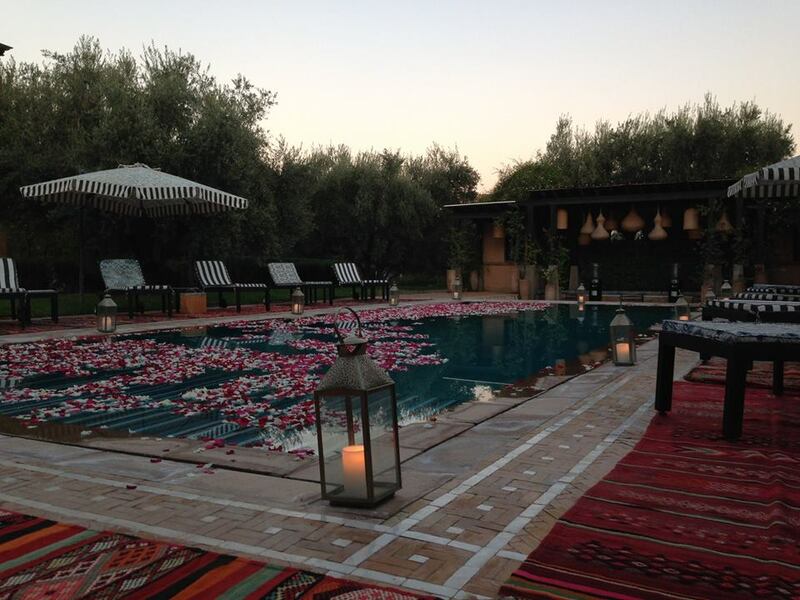 The retreat will take place at the beautiful and exclusive Peacock Pavilions situated in the lovely olive groves outside Medina walls of Marrakech. Marrakech, Morocco is a mystical city filled with strong traditions, a warm and welcoming culture, and opportunities to see, hear, and smell something new. If you have always wanted to go to Morocco, but organizing your transportation, picking the right riad, finding the perfect tours all seemed too much, this is a perfect opportunity for you to relax, do yoga, and experience this amazing city! This retreat in a celebration of life and an exploration into what we do not know. Your eyes will be opened to a new way of being through yoga and cultural exploration. 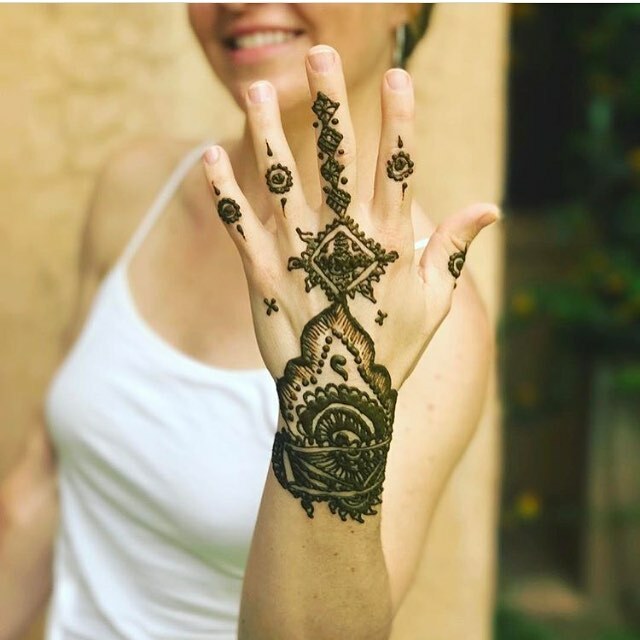 Day Six: Yoga and meditation, free time at the pavilion pool and grounds (time for optional hammam visit or village walk), henna and cocktail party, and a special surprise! Johnna Smith, one of Anjali's beloved guests teachers, will lead the Mysore Ashtanga yoga and meditative component of the retreat. Johnna is an Authorized Level 2 Ashtanga Teacher and a Certified Baptiste Teacher. Johnna’s classes are both intense and fun, she invites all her students to wake up from the dull comfort zone and into the sweetness of new possibilities. She uses teaching stories and humor to bring a powerful lightness to both the body and spirit.